Our visionary founder Richard Dudzicki is an internationally experienced architect, highly regarded within the industry. He studied for his first degree in Liverpool, gaining experience in the UK, Hong Kong and Mumbai. He was one of the early pioneers of 3D computer design, has held teaching posts at Southbank and Chelsea College of Art, and has contributed to publications including The London Architect and Building Design Magazine. 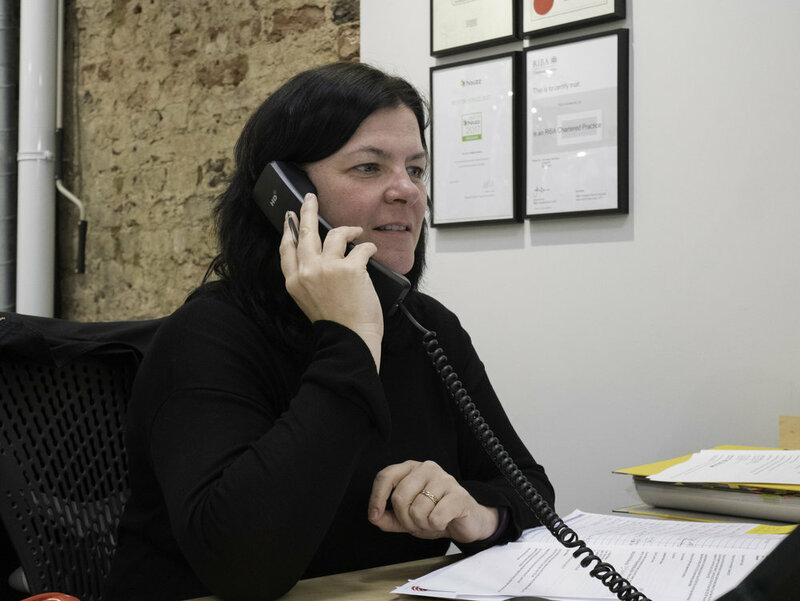 Richard has been keen to develop a practice which balanced good design with pragmatism, prized Passivhaus principles and always put personal relationships with clients first. James Henderson is an ARB registered architect who heads up one half of the office. Having graduated from a multidisciplinary architectural, engineering and environmental degree course in Glasgow, James brings a wide skill base to his projects. His focus has always been on developing more environmentally considerate buildings that maximise the use of natural materials. He is passionate about low energy design, believing that it need not restrict a contemporary aesthetic, or indeed rely on bells and whistles to perform and indeed is the future of sustainable building. Laszlo obtained his Master’s degree from the Technical University of Cluj-Napoca. After graduation he worked on restoration, residential and public building projects in Romania and Hungary. He also organized several summer universities and public events. Laszlo joined the practice in 2014 after working for Romanian team on the La Biennale di Venezia as a volunteer. His interests include cycling, eco design/technology and indie music. Donna was born in Chelsea in 1968 and lived and studied in South London until moving to Surrey 20 years ago. Interests include Pilates, music and walking her dog. Donna worked for a leading Interior Design company for over 10 years prior to joining RDA. Roxana obtained her Master’s degree from the Technical University of Cluj-Napoca. After graduation she worked on residential and interior design projects in Romania where she honed her skills and attention to detail. She joined RDA in January 2016. Her passions include traveling, tango and music. Julia obtained her Master’s degree in the field of History of Art in Cluj Napoca, focusing on the 19th Century Architecture of the Austro-Hungarian Empire. After completing her studies she embarked on an Art Management course in Budapest and gained significant research experience in Budapest and Vienna. Her aim is to combine her academic background with modern marketing strategies within the architectural field. She likes to spend her spare time bullet journaling and skiing. 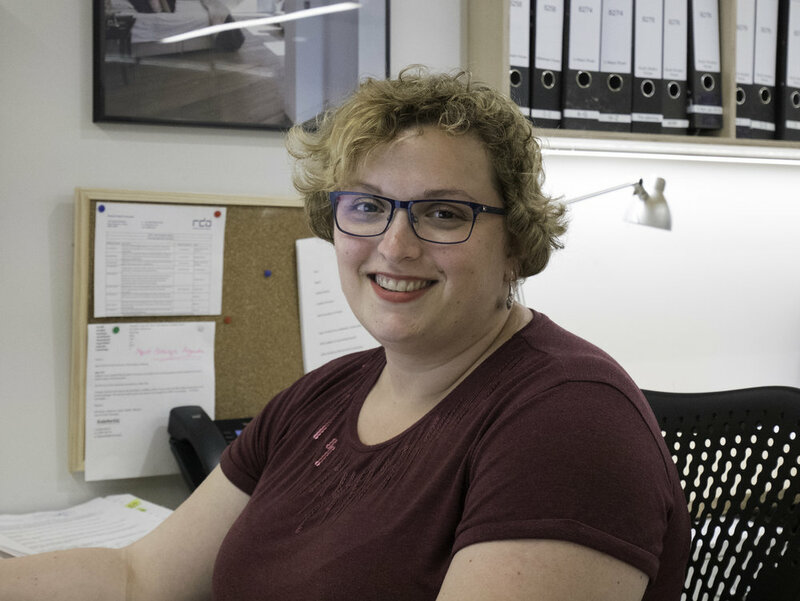 Anna joined RDA as an Architectural Assistant in 2016, having studied in Poland where she gained Masters of Architecture Degree in Technical University of Lublin. Not content with just an Architectural degree, she also completed a course in the Civil Engineering faculty where she gathered her attention to detail and gain a more in-depth understanding the building process. After completing his studies at TU Kaiserslautern in Germany, Peter worked as a senior architect specialising in low energy construction techniques. He completed a variety of projects in both residential and commercial sectors. He joined the RDA team after moving to the UK in 2014. Peter enjoys the challenges and rewards of the design process and gets great satisfaction from resolving construction details onsite. During his spare time Peter enjoys kayaking and kite surfing and can usually be found near water.